There’s a nondescript house on a quiet street in a suburb of Chicago where many extraordinary things are made. While it’s tempting to wax poetic about some sort of secret wizard’s den in the house’s basement, the truth about the room’s real contents provide all the color you need. A guitar shaped like a toilet seat hangs on a wall. An unframed etching from Jimi Hendrix’s gravestone is tacked to another. There’s a dark, grotto–like nook where a 1960 Hammond organ is flanked by two massive Leslie cabinet speakers. And then, of course, there’s the workshop. 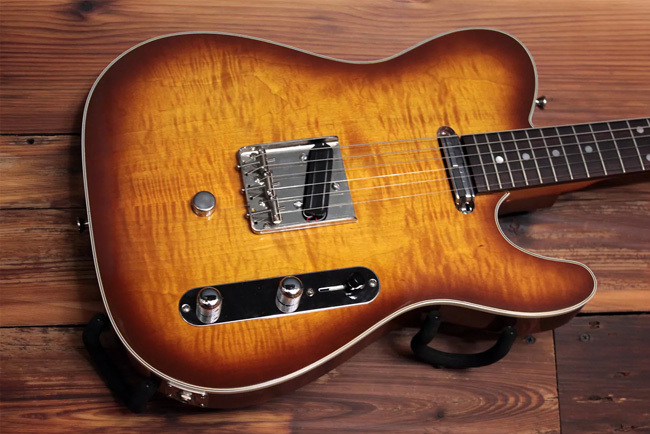 Rich and Chris Rice form the father–and–son duo behind Rice Custom Guitars, based right out of Rich’s home in Arlington Heights, Illinois. 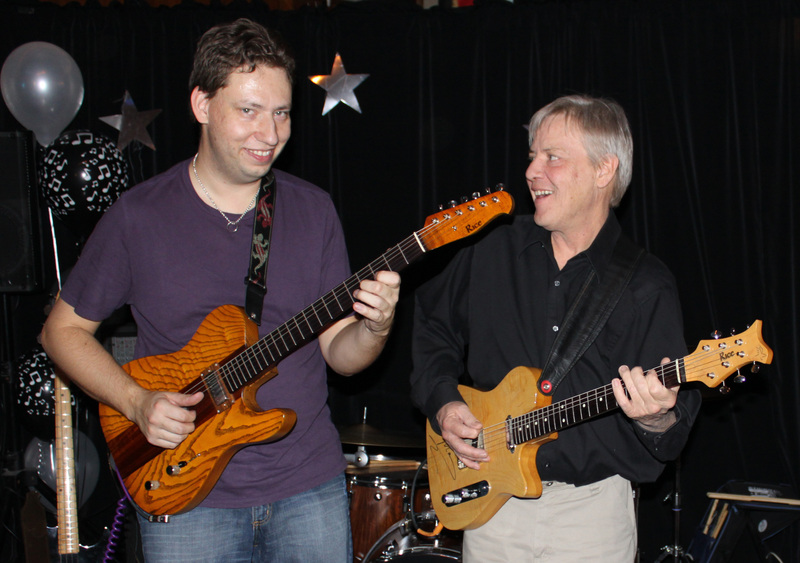 In 1998, the two guitarist/tinkerers started growing their hobby into something bigger. By 2005, they had a full–blown business open to the public. As Rich Rice explains, “I always fixed up my friends' guitars, made them play better, and learned what not to do along the way. Chris (now in his mid–30s) and his father each provide a specifically complementary skill set. 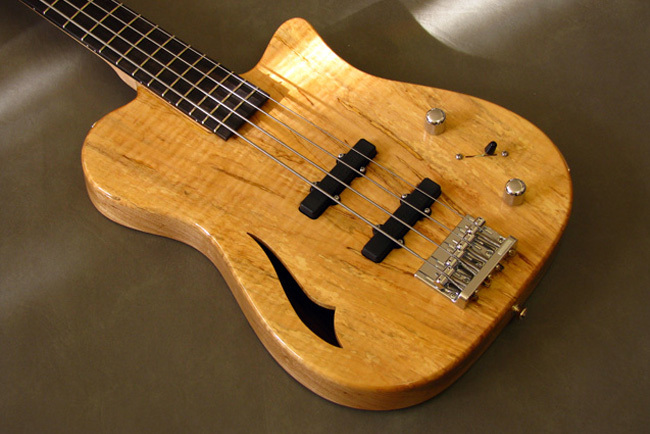 But the two work in a seamless way that belies the staggering amount of artistic and technical prowess necessary for such high–quality luthier work. When asked about his favorite Rice Custom model, both Rich and Chris agree on the Osprey — the most immediately recognizable of their models, with its single–swoop soundport and beautifully finished, variable hardwood composites. One piece, cataloged as “Osprey Standard + #187,” is made entirely out of spruce, mahogany, poplar, and maple reclaimed from a 1923 Stroud baby grand piano. Many other Rice Custom pieces likewise originate from reclaimed pianos. Chris explains that the building process centers around attention and care. 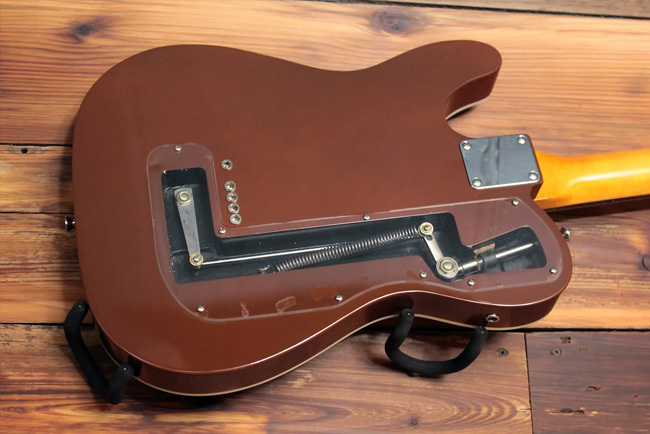 “We're listening to every piece of wood and matching it for tone, carefully choosing what glues to use, what type of finish, refining internal construction, changing control circuits, tweaking pickup designs. 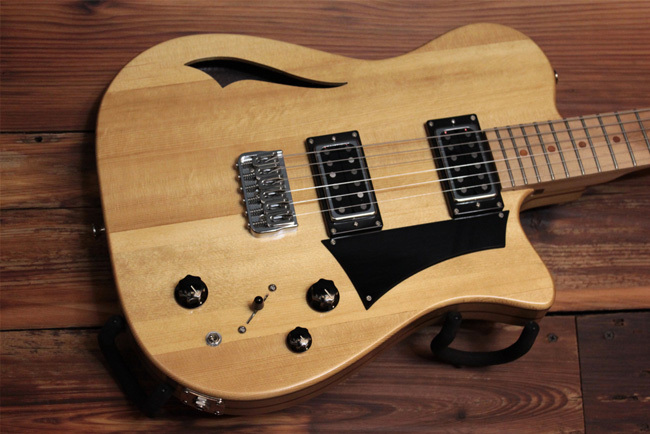 As long–gigging musicians themselves, the Rices built the Osprey for versatility. Rich puts that need plainly: “I don't bring multiple guitars to play a show.” Their discriminating choices of high–quality woods tie directly into that principle. As for the best gear to pair with any Rice Custom guitar, Rich simply recommends Fender Silverface amps, while reiterating his goal of producing guitars that will thrive under a wide array of setups. 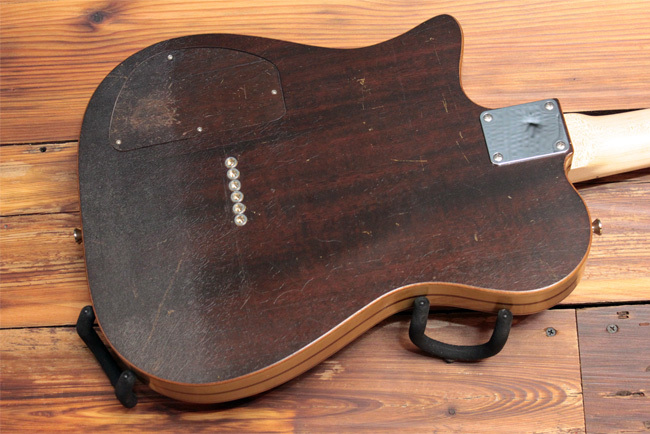 The pair also does occasional work restoring old or otherwise damaged guitars. One job of note was when they completely restored and refinished a 1965 Gibson ES–335 that had been severely damaged by Hurricane Katrina in 2005. When the client finally saw the finished, ready–to–play 335 — originally a childhood gift from his grandmother — he broke into tears of joy. By then, more than a decade had passed since the damage was first done. Only Rich and Chris believed the guitar could even be saved, with the Gibson company itself telling the man that the guitar was a lost cause. When I first entered Rich’s home, I noticed how integrated the shop operation was with the Rice family life. Freshly varnished guitar bodies and necks were drying on the kitchen table and countertop, not far from bowls of homegrown tomatoes. I saw how much the business is an extension of Rich and Chris as a father and son who simply love both music and musicians. In the sunny backyard, finished pieces lay awaiting their final touches before being photographed for the online gallery. In the basement, Rich switched on his 1960 Hammond and its two Leslie cabs, quickly flickering through a peal of classic rock riffs. Besides his work on guitars, Rich has also mastered the art of maintaining demanding instruments, such as this Hammond organ. He has had it for exactly 50 years, since he inherited it from his grandmother in 1967. Rich had mentioned earlier that he regularly spends time with his granddaughter, Chris’s niece, playing music together and teaching her about the many special instruments in his home. Clearly, that musical legacy is in good hands. “It has been a lifetime of music,” Rich says. “And many important things converged to get me to this point. Someday, I may write it all in a book. It has been a very interesting journey.” For any gearhead or music lover in general, that’ll definitely be a book worth reading.